One arm, two arm, three arm, four. And some cool legs, too. killing all of the Jedi. Killing Jedi is his game. reaping havoc on Clone troops. in the sky of Ruusan’s moon. but it’s all for not. Quinlan sort of beats Grievous. The two trade inane insults. and is pursued once again. his heart shot by Kenobi. Hold up for a sec! With the recent passing of Christopher Lee, the actor who played Count Dooku (aka Darth Tyranus), I thought it would be appropriate to do a small piece on the character he brought to life in Attack of the Clones and Revenge of the Sith. After serving with the Royal Air Force during World War II, Christopher Lee went on to have a prolific acting career. During his career, he would be cast several times as a villain in different movies. While I have a fond appreciation for his roles in other films, for me, his most notable role will always be his portrayal of Count Dooku. Despite his short appearances in Episodes II and III, Lee left an indelible mark on me with his performance as the leader of the Separatist Alliance and as a Dark Lord of the Sith. And it is that very short time in Revenge of the Sith that I want to focus on. Well, actually, I want to narrow things down even more and focus on the moment right before Anakin decapitates the illustrious Count. 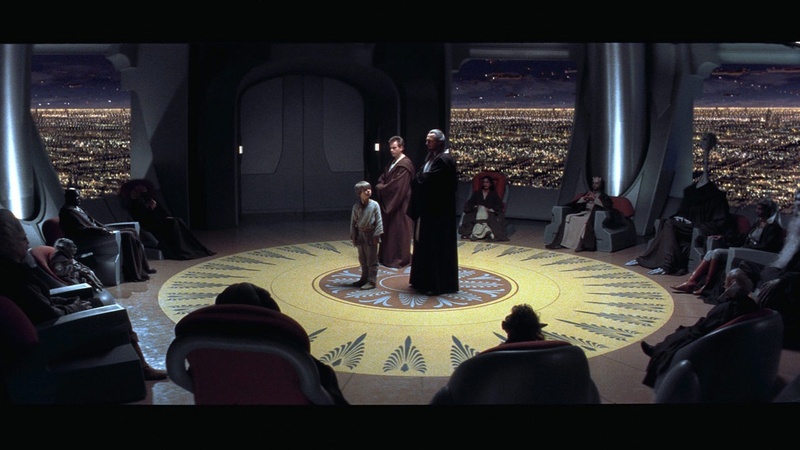 The young Skywalker, standing above the Count with a lightsaber in each hand, is goaded by the “imprisoned” Chancellor Palpatine (aka Darth Sidious) to kill the defeated Sith Lord. As he commands Anakin to “kill him now” the Chancellor turns his head towards Dooku, looking down at the elderly man who is also his apprentice. Hearing his Master’s order, Dooku looks at Sidious with an expression of utter perplexity on his face. Each time I watch Revenge of the Sith, and see his face in that moment, I feel a twinge of remorse for the Count and can’t help but wonder what goes through Dooku’s mind in that instance as he hears his Master order his execution. In that moment Dooku may have realized his Master had always been playing him, and had intended from the very beginning to discard the Count once he ceased being useful to his Sidious’ machinations. The order to execute Dooku was just another part of his Master’s grand plan, and in the moment, was also a way to groom the young Skywalker as Sidious’ new Apprentice. Or, maybe Dooku recognized that he should have acted against his Master, that he had waited too long to challenge Sidious. As the Apprentice to Darth Sidious, it was Dooku’s responsibility to challenge his Master and take the mantle of Master from Sidious. 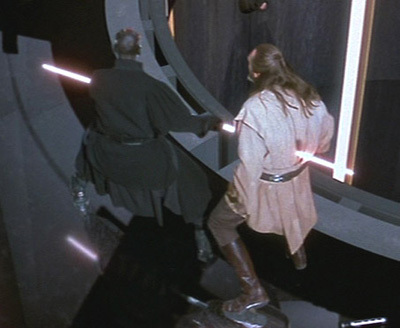 The Rule of Two dictates that the Apprentice must challenge the Master, but in that moment, Dooku may have understood that his hesitation had cost him his life. Focused on executing his Master’s plans to destroy the Jedi, Darth Tyranus never enacted his own plan to destroy his Master. It is possible, though, that Dooku thought nothing at all. Perhaps hearing the order for his execution just left Dooku far too bewildered to have any rational thought. Chances are, if I were in his place, I wouldn’t be able to think rationally either. Honestly, I think it is better we don’t actually know what Dooku was thinking. Personally, I would be disappointed if there was some “official” statement that told us what Dooku thought in that moment. It is far more interesting to imagine the possibilities and decide for ourselves what he may or may not have thought in the last seconds of his life. 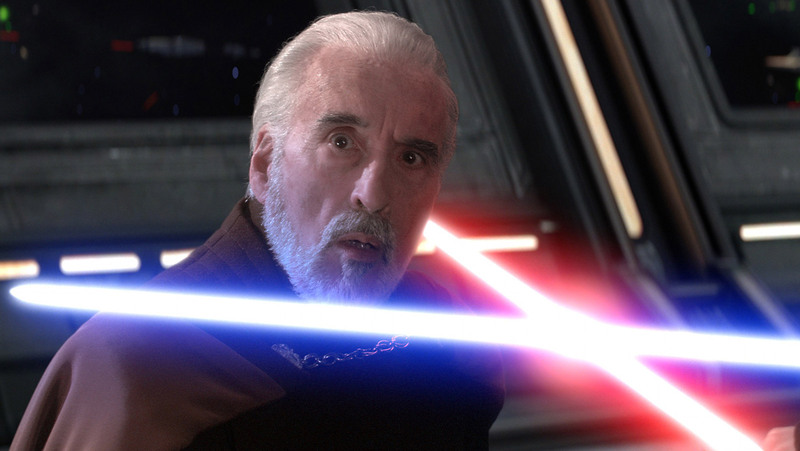 Besides, Christopher Lee captured that moment perfectly, his expression allowing us to connect with Dooku on a personal level even if it is only for a second. To evoke a response from the audience is the goal of any actor, but to do it with a single look is the sign of a very talented man. Mr. Lee, and his prowess as an actor, will surely be missed.